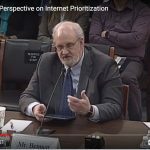 Representative Coffman’s 21st Century Internet Act introduced last week. In addition, there are two efforts underway to come up with a consensus bill aimed at eliciting bipartisan support: The Internet Society (ISOC) has convened a round table of policy experts to draft such a bill and Rep. John Curtis (R, UT) is holding round tables of his own in Utah. I’ve discussed the bills at some length already. The Thune/Upton/Walden bill is based on the 2010 Waxman bill developed through the traditional bipartisan, bicameral process typical of landmark bills such as the 1996 Telecommunications Act. It classifies broadband as a Title I information service; requires network management disclosure; prohibits blocking, throttling, and paid prioritization; allows a “specialized services” exemption; and denies that Section 706 of the ’96 Act is a grant of authority. 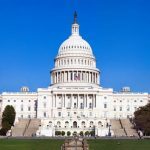 Congress didn’t pass the Waxman bill, but it was the basis of the FCC’s 2010 Open Internet Order. The Blackburn bill classifies broadband under Title I; prohibits blocking and throttling; permits ISPs to enforce copyright; allows a “specialized services” exemption; and prohibits attempts by the FCC to expand its authority. Chairman Blackburn held a hearing to enable her colleagues to learn about prioritization so that a section could be added to the bill in a bipartisan way to regulate it, but Democrats aren’t interested. The CRA Resolution would restore the Title II order passed by the Obama FCC, and the Coffman bill would provide free interconnection to transit providers such as Cogent. None of these bills has bipartisan support. Rep. Curtis is a new member of Congress who won a special election to replace Rep. Chaffetz last November. He’s experienced in Internet issues because he engineered the $1 sale of the bankrupt municipal fiber network, iProvo, to Google as mayor of Provo, Utah in 2013. A group of Provo’s neighbors voted to build a multi-city fiber net of their own, UTOPIA, in 2002 that continues to limp along unfinished. This isn’t surprising given that Provo and Orem are home to Novell, the major personal computer networking company prior to the advent of Microsoft Windows. The region is home to a bustling tech startup community today, including the site of Adobe’s enterprise business in the town of Lehi, where the round table was held. The round table was attended by representatives of several Utah startups and incubators, one local activist, a handful of lobbyists, UTOPIA employees, representatives of Facebook, Adobe, AT&T, and CenturyLink, a local city council member, and yours truly. We didn’t reach a consensus because there were so many versions of the facts to go through and so many stories to tell. But the group did converge on the idea that Congressional action is the best way to ensure a lasting, stable, and clear regulatory outcome. Some still consider an agency solution acceptable but most others do not. There may be another round table to come, but nothing was scheduled. ISOC held three round table meetings in Washington in June and July, and is creating a subcommittee to prepare some detailed text. These meetings have been attended by experienced policy experts from both left- and right-leaning think tanks, advocacy groups, academics, lobbyists, and technologists such as myself. Participants identified six relevant stakeholder groups that may impact or be impacted by these principles, including Broadband Internet Access Providers (BIAP), users, platforms, content providers, device makers, and the government. They then attempted to reach consensus on what each stakeholder group should reasonably be expected to do to uphold the agreed upon open Internet principles. Though several points were discussed for each, the group agreed that “protect security” and “be transparent” were reasonable expectations for every stakeholder group, though implemented in different ways depending on the stakeholder. To a great extent, deliberations were guided by the FCC’s history of with open Internet principles, the text of the Title II order, and lessons from the Digital Age Communications Act deliberations sponsored by the Progress and Freedom Foundation in 2005. By the end of the second meeting, the group had converged on giving fairly broad authority to the FCC to enforce an Internet conduct standard of sorts. 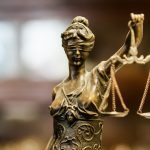 There was a split of opinion about the legal standard that should bound this authority, with some favoring a “public interest” standard and others a “fair and reasonable” economic standard. There was something close to a consensus around the idea that regulations on paid prioritization are probably redundant if a general conduct standard is sufficiently well-defined. This being a somewhat technical group, there was awareness that ex ante prioritization rules become quite thin when all the operational factors are laid out. Everyone agreed that users should be able to obtain prioritization services when we want them and that users should be able to access all of the lawful content and services they desire. The group will review draft language in August and meet again in early September.